April 30th is Children's Day, or Día del Niño in Mexico. Although the US doesn't have an "official" holiday, Children’s Day has been celebrated annually in Mexico since 1925, and is celebrated in many countries around the world. In Mexico, children are recognized as an important part of society so the day focuses on the importance of loving, accepting and appreciating children. I think this is a fantastic reason to have a fun day with your kids, so we'll be celebrating Día del Niño this year with a new recipe! One way you can celebrate Día del Niño is to cook up your kid's favorite meal and let them have some fun helping to make it! 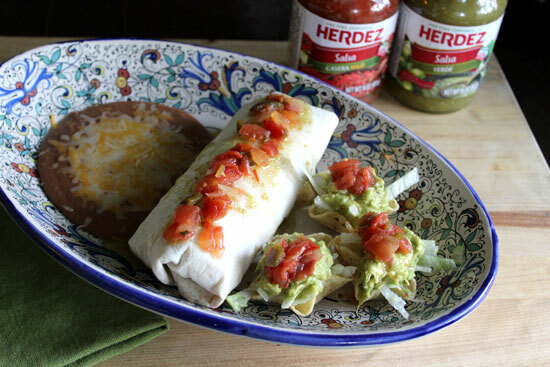 If you'd like some meal ideas, check out these easy and delicious Mexican recipes. 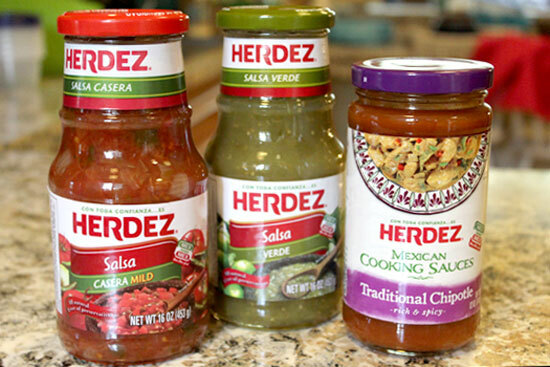 I like to use authentic brands in my international cooking, so naturally I choose Herdez. The Herdez Brand cares about authenticity in both food as well as culture and tradition. In honor of Día Del Niño, the Herdez Brand will celebrate the joy that children bring to our daily lives! They'll recognize their favorite Mexican foods, create an avenue where caregivers showcase the love they feel for the children in their lives and one that invites adults to celebrate their inner child. As this holiday celebrates the kid in everyone, Herdez brand is holding a #ThrowbackThursday photo contest on its Facebook wall! This promotion will last from April 6th to – April 30th. Each week, three winners will be chosen to win a Día del Niño prize pack! One grand prize winner each week will win a socialmatic camera, film, Herdez product, Herdez apron and recipe cards. Two runner up winners each week will win a selfie stick, Herdez product, Herdez apron and recipe cards. To enter, submit your favorite childhood photo tagged with #ThrowbackThursday directly on the Herdez Facebook page! 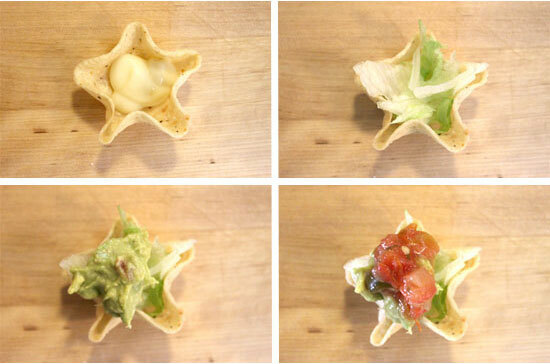 My Mini Queso Taco Salad recipe uses Guacamole. 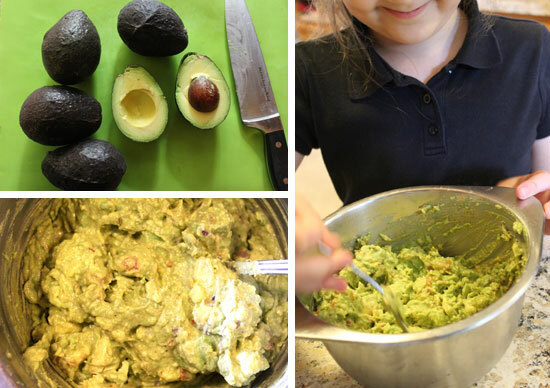 I decided to make homemade guac, and my little helper couldn't wait to mash them up! 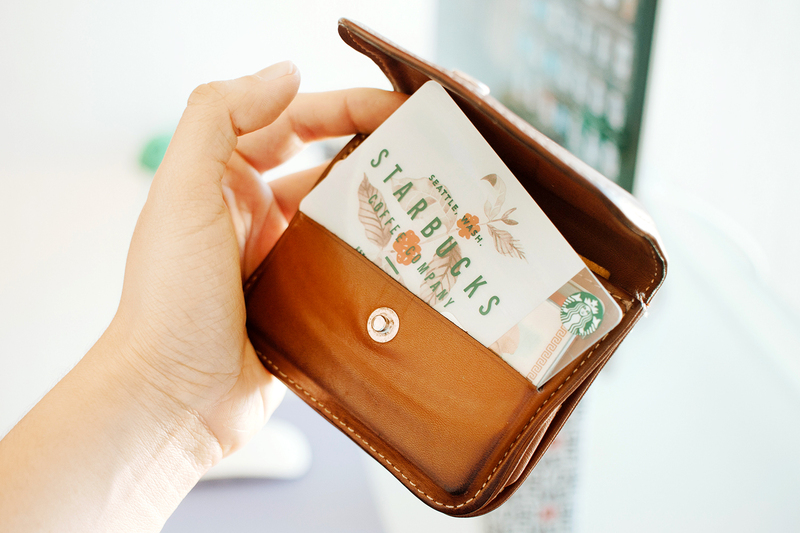 You can have some fun making it yourself or save some time by buying it at the store. Dollop warm white queso dip into the bottom of the chip. Scoop a spoonful of guacamole on the lettuce. 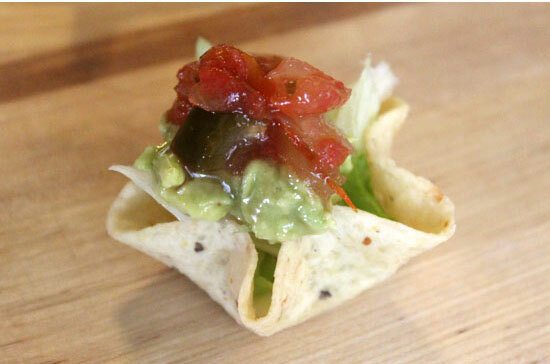 Top with your favorite salsa. 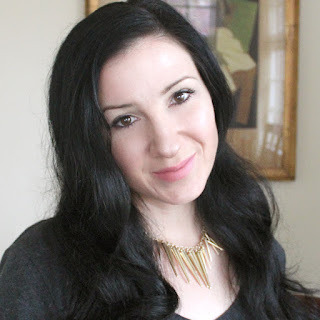 These are quick, easy, and my daughter absolutely loved them! The warm/cold, soft/crunchy combination makes these a real winner! 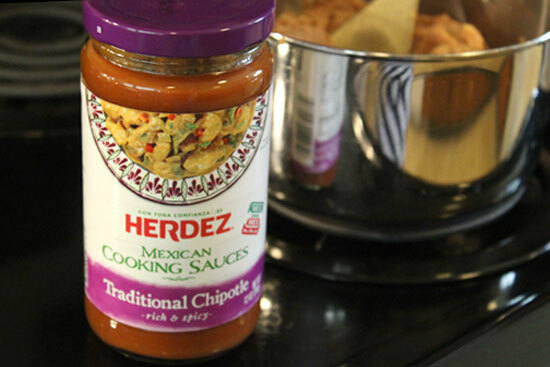 To go with our new meal addition, I spiced up our usual refried beans by adding in a few tablespoons of the Herdez Chipotle Cooking Sauce. So delicious! 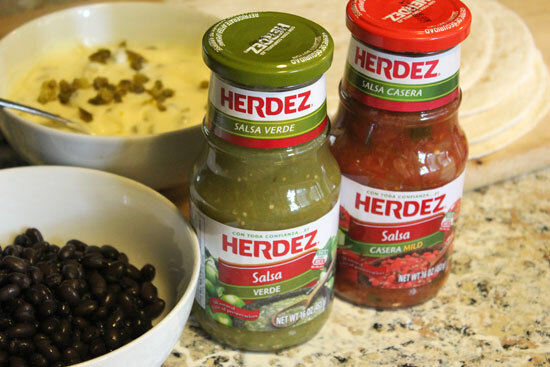 I also set out Herdez Salsa Casera and Salsa Verde for our bean burritos. I stuff them with shredded cheeses, Mexican rice, black beans, and then let the kids add in anything else they'd like. Some other (meatless) ingredients to stuff your burritos with could include refried beans, jalapenos, sour cream, diced chipotle peppers in adobo, diced tomatoes, diced red onion, or shredded lettuce. Go wild! My daughter and I had a great time in the kitchen, even though we ruined dessert! We may have over-boiled the flan, but nobody else noticed amid the abundance of good food to eat. The whole family enjoyed our meal, especially my precious daughter. She lights up my days and I had so much fun seeing her so excited about making her favorite meal together. 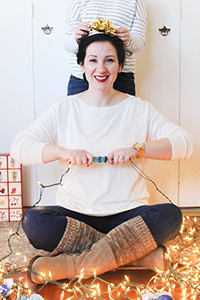 In the hustle and bustle of our everyday, it was lovely to have an excuse to stop and focus on her, do something fun, and plan a little family celebration. You can find out more about Día del Niño here. 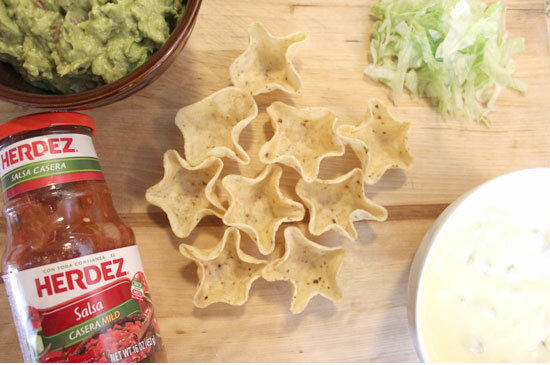 Check out additional delicious recipes available on the Herdez website, and celebrate Día del Niño in your home with a fun family meal together! Don't forget to enter the #ThrowbackThursday photo contest on the Herdez page on Facebook for the chance to win some amazing prizes! Are you celebrating Children's Day this year (4/30)? What are some of your favorite Mexican dishes?